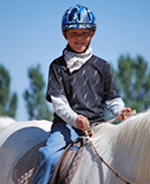 Horse camps are offered on the weekends and school holidays during fall, winter, spring seasons. Big summer camp program. Be sure to register early! inquire by email for dates and times. Week Long Day Camps. Registration open Feb. 15th. Click on the RED to find dates. Sessions are filling up fast. Don’t be left in the dust! 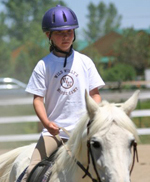 Kinder Pony Play - Beginning horsemanship skills are taught to young children ages 4, 5 and 6. Wild Willy’s Photo Gallery - Come see all the fun everyone is having at Wild Willy’s by visiting our photo gallery! See pics of the kids and horses!